Each February the Penn State IFC/Panhellenic Dance Marathon, better known as THON, fills the Bryce Jordan Center at University Park with 15,000 people for 46 hours. Last year the event raised more than $13 million to benefit the families of children with cancer. These are some of their stories. 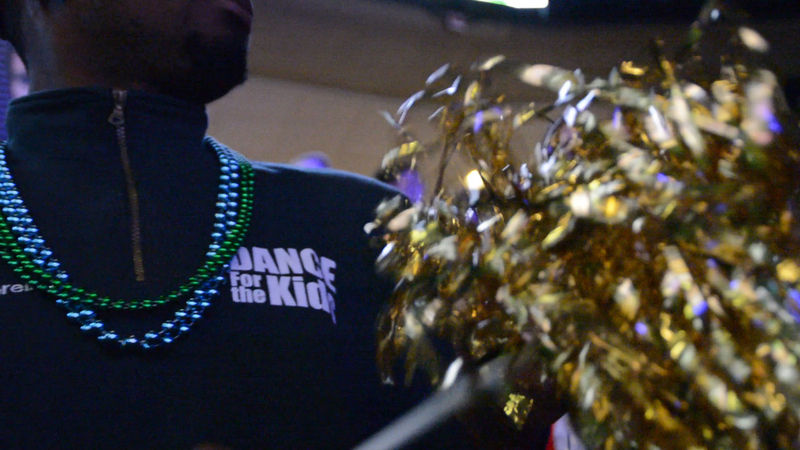 There’s tutus, flowers and even capes to be found at the BJC as Penn States students celebrate THON. Lerell Richards has been heavily involved in committees within THON for the past four years at Penn State. For his final THON, he decided to watch from the stands with the crowd. 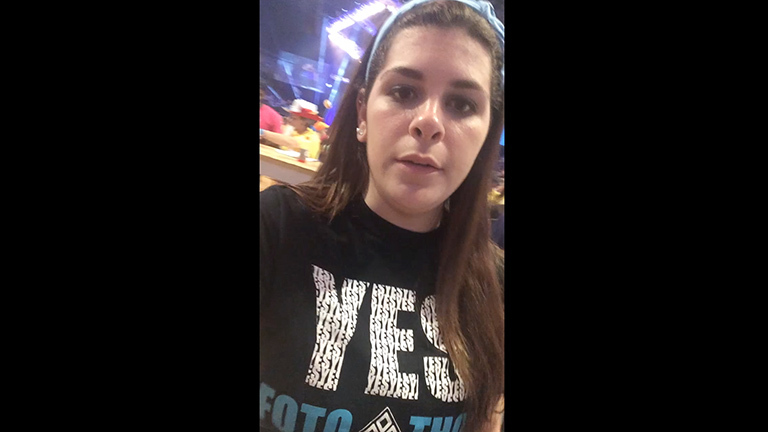 Taylor Milano is dancing for Foto and filing video reports about her experience from the floor of the Bryce Jordan Center. Liz Ducker is a senior at Penn State University. She will be standing for 46 hours to support her special interest organization Ohana, in the fight against pediatric cancer. THON and Ohana are very close to Duckers heart, her brother Mike started the organization back in 2008 and it has been her dream to follow in his footsteps. Rachel Shaffer is a Penn State senior a barista and president of Domani, a special organization involved in THON. Being president has filled her years with THON and allowed her the chance last year to dance for 46 hours straight. As she comes to the end of her time at Penn State, she says she is ready to pass the torch to the next member of the organization. 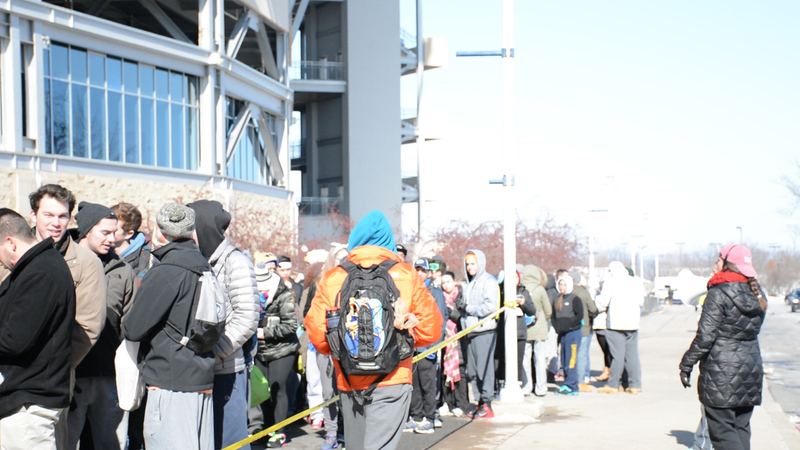 With temperatures in the single digits students began to line up outside of Beaver Stadium in the early afternoon for the start of THON 2015 at 6pm. 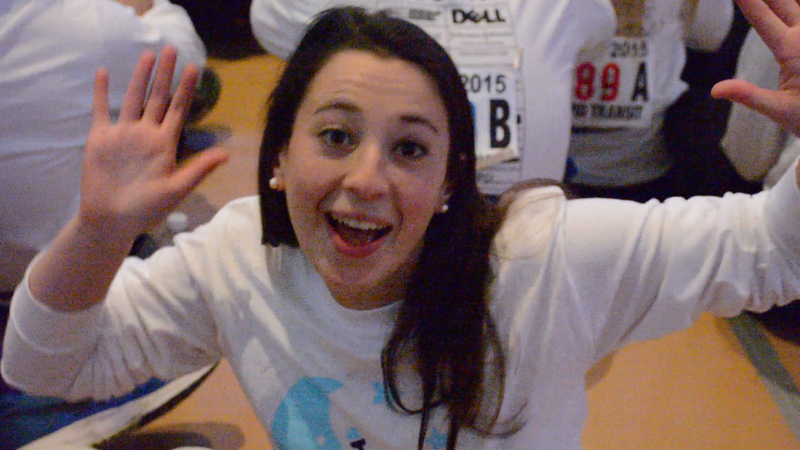 With less than a day until THON all Andi Diamond could think about was work and school. At 6:00 p.m. Friday, all of that was history as she stood up on the floor of the Bryce Jordan Center and began her 46 hour odyssey as a THON dancer. Dancer Nick Shugars is preparing to stay on his feet for 46 hours straight over this upcoming weekend. Shugars will be joined by over 700 other Penn State students who plan on staying on their feet the whole time in honor of kids with cancer. This is not something that can just be done, dancers such as Shugars have been preparing themselves mentally and physically to be up for the challenge. Robert Larimer, a Marketing major has been a member of the OPP Committee for two years now. He played a huge role in setting up the stage and ground level of the Bryce Jordan Center prior to the start of THON. 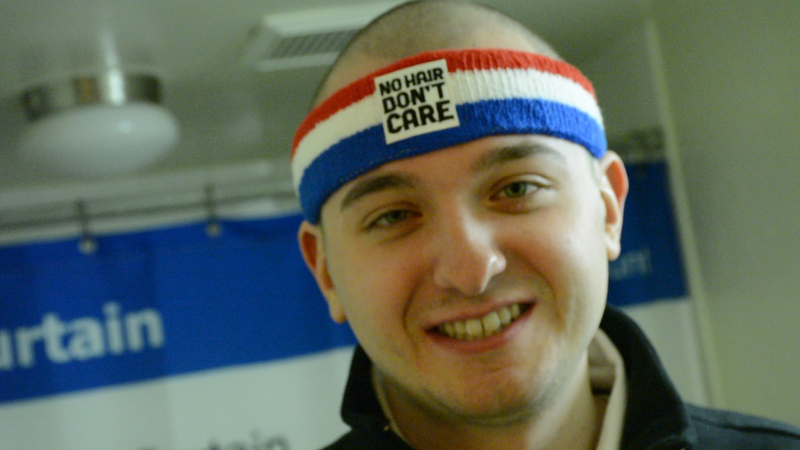 His shift started at 9 A.M. and extended to the start of THON at 6.P.M. to ensure that all dancers on the floor is safe throughout the 48 hour dance marathon. The THON entrance plan changed drastically this year, as the THON executive committee elected to go with an electronic registry system to prevent some of the chaos that has been a part of entering the Bryce Jordan Center in the past. Organizations each have a designated time in which they will pick up wristbands to ensure entrance, and the wristbands come with a time that they can get in line to enter the building. 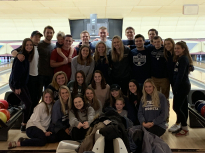 Delta Zeta THON chair Julie Hannan shares how entering THON has changed in her years at Penn State. Sooriya Jhanagan, a junior and BBH major at Penn State, is involved with THON in many ways and knows plenty of students dancing in THON 2015. She explains why she thinks the Human Tunnel is an important aspect of THON and why she participates. 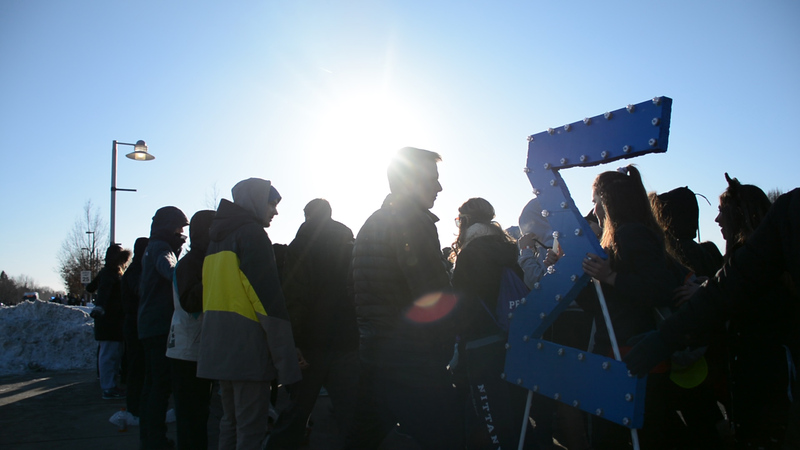 Students queue up outside the Bryce Jordan Center on a frigid Friday afternoon sat they wait to stream inside the building to help kick off THON 2015. Jessica has completed three internships with radio stations throughout the State College area and a fourth internship in Center City Philadelphia. She is a member of the ComRadio sports department and has developed a passion for radio and promotions throughout her college career. Jessica hopes to work on air and in the promotions department for a broadcasting company after her graduation in May 2015. Alex Glassman was born and raised in East Hanover, New Jersey. Currently, Alex is majoring in Broadcast Journalism, and has completed his minor in Communication Arts and Sciences. 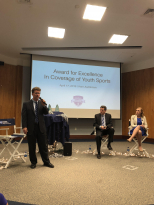 Alex is a member of the John Curley Center for Sports Journalism, as well as a brother of the Pi Sigma chapter of the Zeta Psi fraternity of North America. One day, Alex hopes to work in sports production. My goal is to move to New York City and become an entertainment news reporter for a big broadcast name such as ABC or NBC. Entertainment news has always been my passion, and I intend to persevere until I land my dream career. Mary is interested in working with multimedia at a print or online organization as a foreign correspondent covering politics, foreign and domestic relations and foreign affairs. I am a senior broadcast journalism student at Penn State University. I am passionate about television production and the development aspect of the media industry. I have had a variety of experience within the broadcast news field including internships at Seacrest Studios and Penn State Athletics. I am involved with Penn State’s Network Television and am the associate producer of “The Valley” a sketch comedy show that airs on Penn State’s network television. I enjoy being behind the camera and seeing stories that I create come to life. I love producing as well as sports. I am a volunteer varsity football coach at State College High School, and hope to combine my two loves to make a career that can last me a lifetime.